One of the services offered by attic cleaning and insulation companies is proofing the attic and crawl spaces against rodents, thus preventing them from getting into the house. This is one of a house's maintenance services and preemptive services, which is designed to prevent rodent infestations and the derived health risks. Here are the three most common reasons people call for this service. If you have or once had a rodent problem at your house, you're probably familiar with the noises they make, and how scary it can be when you hear it, especially in the dead of night when you're lying half asleep in bed. 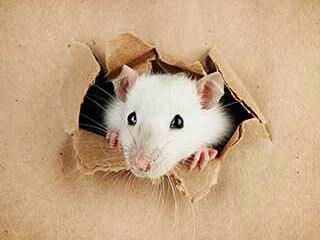 And fear, apparently, is still one of the most common reasons to call for professionals to solve our rodent problem. In some cases, we may delay its treatment, but once it disturbs our nights, we'll surely act quickly to solve it. If you're familiar with that issue, you will use the appropriate solution whenever needed in order to avoid such unnerving situations. Rodents bring a lot of dirt and damage to our house. Their feces and urine will soil floors and walls and might carry a stench that can easily travel through ceilings into other rooms. Additionally, rodents gnaw at wood and other materials and cause damage to the ceiling, the insulation and to furniture. Therefore, when you use rodent proofing services, you can be rest assured that your home is safe and clean. Rodent infestations can also lead to bacteria appearing around your house and illness among those who reside in it, especially babies and elderly people who are more susceptible to such risks. Therefore, proofing your home against rodents means they wouldn't be able to enter and cause all those risks and health complications in the first place. So, it is much better to prevent that than actually dealing with all the troubles it can bring along with it. When choosing to call for rodent proofing services, it is important to hire the help of nothing but professionals who can guarantee that your house is completely proofed against the hazard. Give our experts a call for consultation today!